Ever had a phone number, name or address you needed to jot down before running out the door? 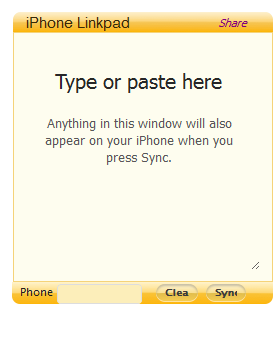 Now with one click its on your iPhone. Stay on top of your social life. Download the Evite Widget to your desktop. The widget will keep track of all your invitations by displaying the name and date of your upcoming events. Never miss another party! See photos of single people that meet your dating interests, right on your desktop! Simply set you set your dating preferences one time (such as gender, location, and ethnicity). The Widget will then automatically download photos of selected singles just for you in your area! The photos will be displayed as a slideshow, showing a different photo every 30 seconds. The set of photos will automatically update every few hours. 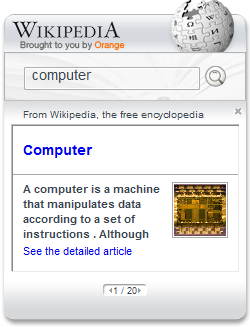 All the knowledge available in Wikipedia Widget. You can get information from Wikipedia search engine on your PC. - See what the sky looked like on your birthday! - Set the date to the next eclipse and see how it will look from your backyard. - Zoom in and see galaxies and nebulae photos from Hubble and other telescopes.